Educational Qualification : Passed High School Exam with 50% Marks and ITI Certificate in Relevant Trade from any Recognized Institute. 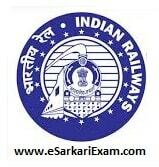 Eligible Candidates can Submit Application at the Official Website of South Eastern Railway latest by 22nd November 2018. Applicants First Logon to SER Official Website. Click on News and Update Link. Open Employment Notification and Click on Engagement of Act Apprentice Link. Open Act Apprentice Recruitment Advertisement Link. Now Open Online Application Link.